It might be tempting to buy flowers and candy for your mom this Mother’s Day, but that may not be what she really wants. Your special mom deserves careful consideration, and these three simple gifts will help you to make this Mother’s Day as unique as the mom in your life! Have you asked the mom in your life what she might like for Mother’s Day this year? The answer may surprise you. Depending on the person, the special mother in your life might want to take a hike with the family or may want a couple of hours alone. Or, if she’s like me, your mom might want an unusual Mother’s Day gift, like a barbecue grill, or perhaps she won’t want you to spend a lot of money in order to cut down on potential financial stress. The process of finding out what the mom in your life wants makes this gift special. The first part of the process is to ask seriously how she envisions that special day. The second essential step is to listen to the answer and act accordingly to make her vision for Mother’s Day a reality. The listening and follow-through on your part will provide a day to celebrate as unique as the mom in your life, and one she will remember for years to come. What if your mom doesn’t really know what she wants on that special day? Don’t be discouraged – this is a wonderful opportunity to plan a surprise. One of my favorite Mother’s Day gifts involved a surprise planned by my husband and children. On that Sunday afternoon, I was given our GPS programmed with a route that I was to follow, and at each stop I was greeted with a special treat – the first stop was a manicure, the second was coffee and a scone, and the third stop was at my favorite thrift store. This was a delightful way to spend the afternoon, and the surprise element only added to my excitement and joy. The planned surprise doesn’t need to be elaborate or complicated, it just needs to cater to what’s special about your mom! The crucial element to planning for Mother’s Day is to spend time thinking about what the mom in your life would really enjoy. Invest effort in thinking about her values and daily life, including how she spends her time and energy. Is she thrifty? Does she enjoy an occasional splurge and if so, what does she consider a “splurge?” Does she like to be active, or would she enjoy a relaxing massage? Could she benefit from some time alone with a gift card to shop without interruption? What is her favorite meal? Build your plans around your mom’s preferences and you’ll automatically be providing her with special treats. These unique details are your keys to planning the best Mother’s Day celebration for the special mom in your life! 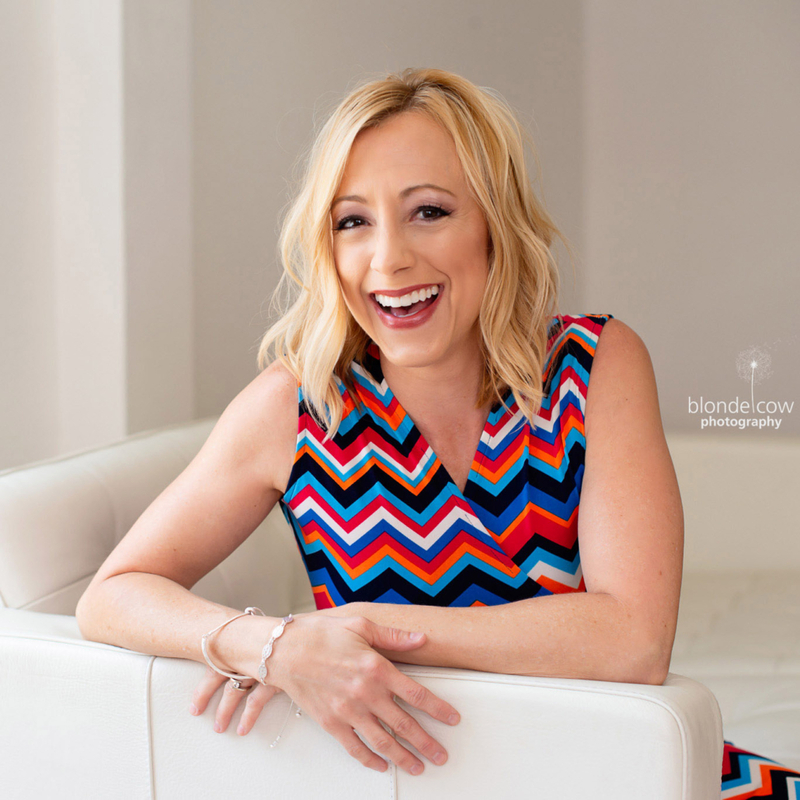 Kelly Wilson is a busy mom and freelance writer who is looking forward to Mother’s Day. To find out more about the gift of teeth whitening for your special mom, check out Dr. Brett L. Johnson, DMD, a dentist in Oregon City, OR. 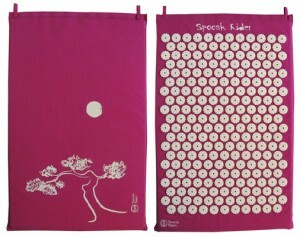 This Mother’s Day, pamper Mom and the planet in luxe, eco-friendly style! Tiny Green Mom has compiled a list of the latest eco-chic must-haves for Mom – with a little something for every Mom, Grandma, and special Auntie on your list! Stylish and eco-friendly, the PFOA-free Bialetti Aeturnum cookware line will quickly become the foodie Mom’s favorite for preparing fresh, healthy meals for the family! For more information on the Bialetti Aeturnum cookware line, visit www.bialettishop.com. Slip into planet-friendly comfort with the Cascadia 6 Trail-Running Shoe by Brooks! 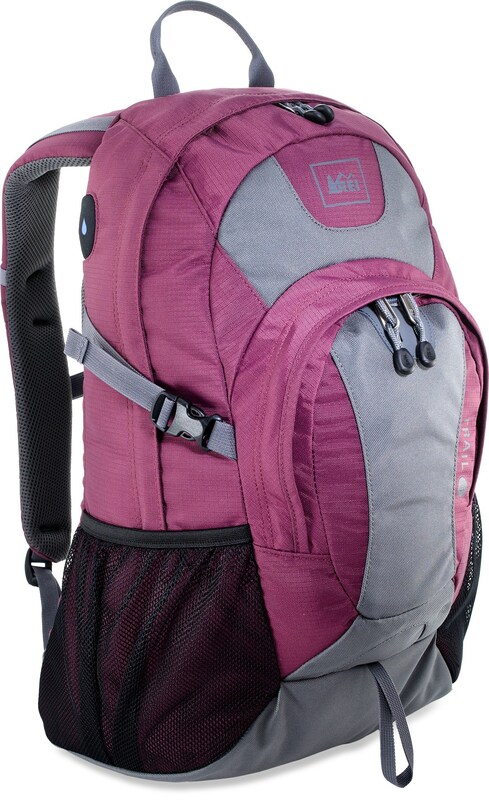 For the serious trail runner or eco-crusader, the Cascadia 6 is hands-down the top pick for the Mom on-the-move. Stable and sturdy, the Cascadia 6 offers unsurpassed traction, and every aspect of the shoe itself has an environmentally-friendly component. 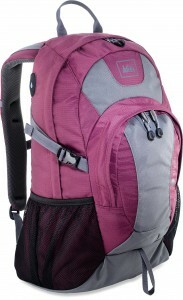 Available in two bold color choices, in women’s half and whole sizes ranging from 5 – 12. Check them out online at www.brooksrunning.com. Mom will look and feel eco-fabulous in this trendy line of organic, sustainable, and clay-dyed clothing! From flirty dresses that can be dressed up or beach-ready to feminine organic cotton tank tops & tees, there is something to suit every style at www.earthcreations.net. Indulge Mom with rich, decadent chocolates from Edward Marc Chocolatier! Sinfully delightful, these handcrafted chocolate creations are made from high-quality ingredients including cocoa from West Africa, vanilla beans from the South Pacific and citrus fruits from the Mediterranean. Pure chocolate bliss! 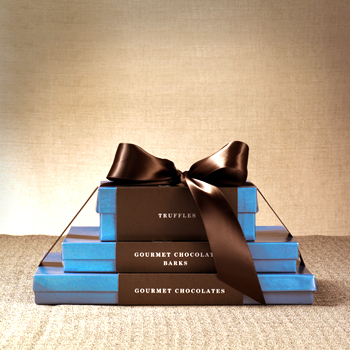 Choose from a wide selection of gourmet chocolate collections online at www.edwardmarc.com. 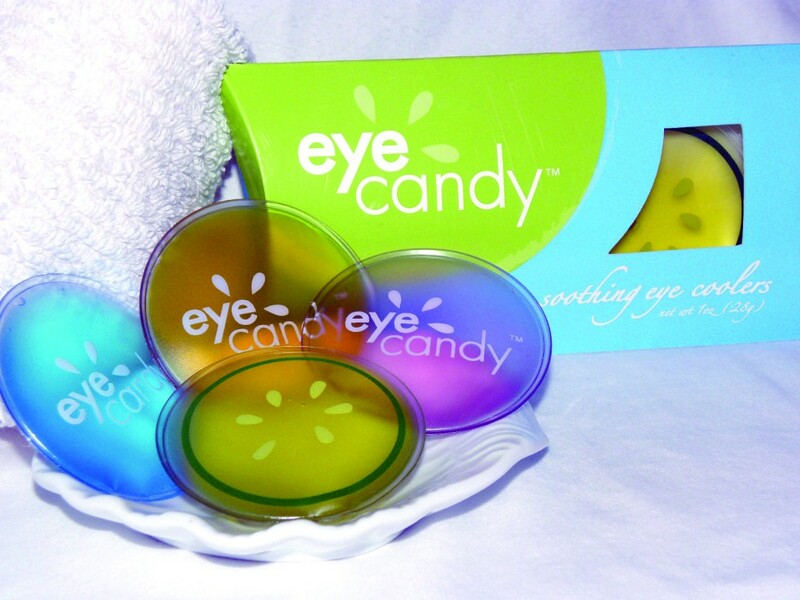 Over-stressed Moms need a quick fix for tired, puffy eyes! 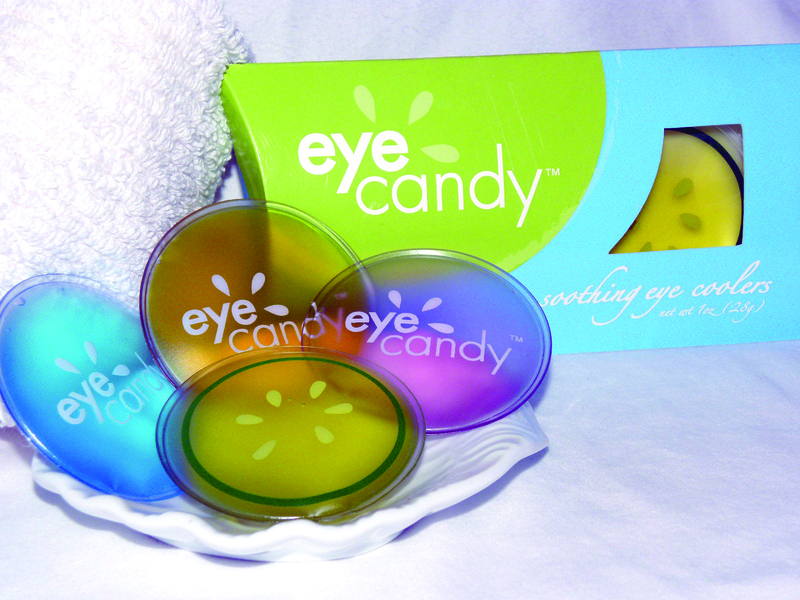 For an appreciated gift this Mother’s Day, these reusable candy-colored soft gel rounds reduce puffiness, relieve allergy symptoms, minimize dark circles and fine lines, and provide an overall quick fix for busy mamas. Available in 4 styles, including Classic Chillin’ Cucumber, Sugared Ice Blue, Tart ‘n Tangy Tangerine, and Cotton Candy Pink. 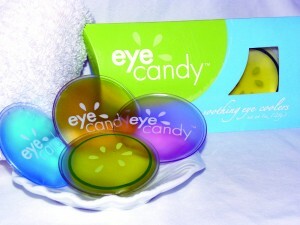 Visit eyecandycoolers.com. Show Mom how much you love her, and celebrate other mothers, as well, with the Pink Show Your Love Bracelet from the Leakey Collection. A gorgeous pink porcelain heart (which is removable) is strung on eco-friendly Zulugrass™ intermingled with Czech glass beads, and is handcrafted by Maasai mothers. 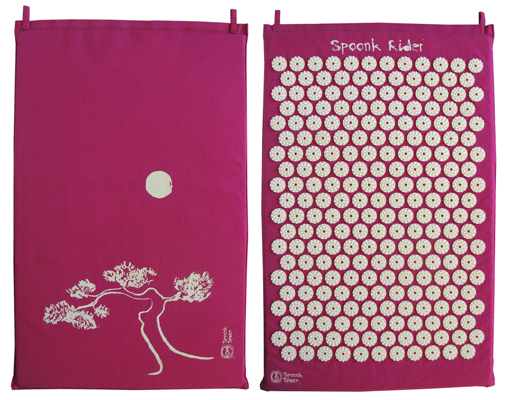 Simply lovely, this is a gift that gives back on Mother’s Day! To locate a retailer near you, go to www.leakeycollection.com. 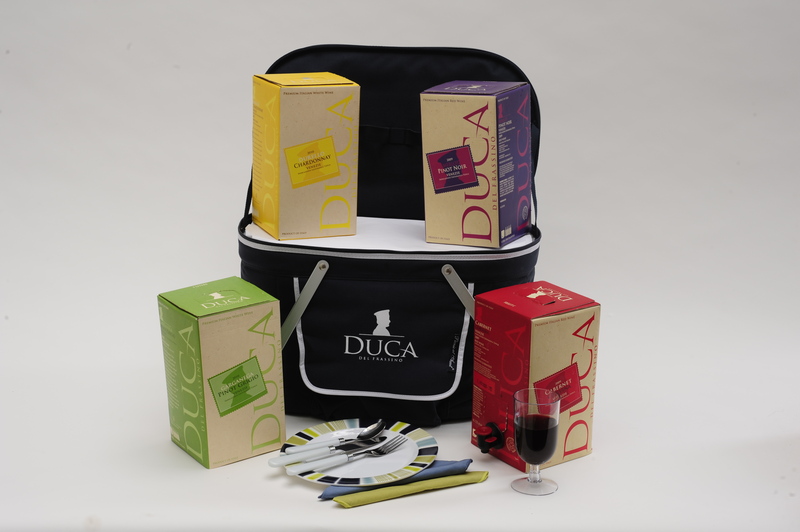 For an elegant Mother’s Day luncheon, or a worry-free picnic that includes wine but not a breakable glass bottle, look no further then Duca del Frassino, Italy’s premium wine in a box! Each varietal is the equivalent of 4 bottles of wine, contained in eco-friendly packaging. 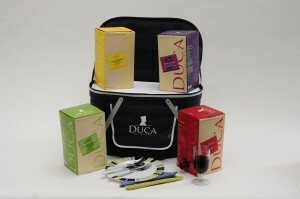 Duca del Frassino wines cost $19.99, and are available nationwide, in four blends to suit Mom’s taste. Durello/Chardonnay and Merlot/Pinot Noir are the newest additions to the line’s already popular Garganega/Pinot Grigio and Cabernet Sauvignon/Corvina blends. Visit www.cantinasoaveusa.com to learn more. 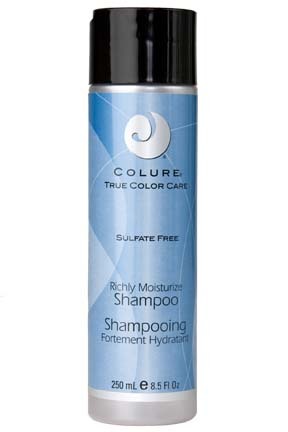 Treat Mom to luxurious, green hair care products from Colure True Color Care! Made with certified organic botanicals and free from sulfates, parabens, SD-40 alcohol, petrolatum, sodium chloride, dyes and irritants, each Colure Hair Care system offers UVA & UVB protection, hydration and more! The packaging is 100% recyclable, as well. For more information, visit www.colurehaircare.com. For the chocolate-lover on your gift list, don’t forget to tuck a couple of packages of Newman’s Own Organics Chocolate Cups into their stocking for a delectable treat! With five rich, decadent flavors to choose from, there is something for everyone, including Dark Chocolate Peanut Butter Cup, Milk Chocolate Peanut Butter Cup, Dark Chocolate Peppermint Cup, Dark Chocolate Caramel Cup and Milk Chocolate Caramel Cup. “Mom’s” favorite? Dark Chocolate Peppermint Cup, a decidedly holiday-inspired treat! 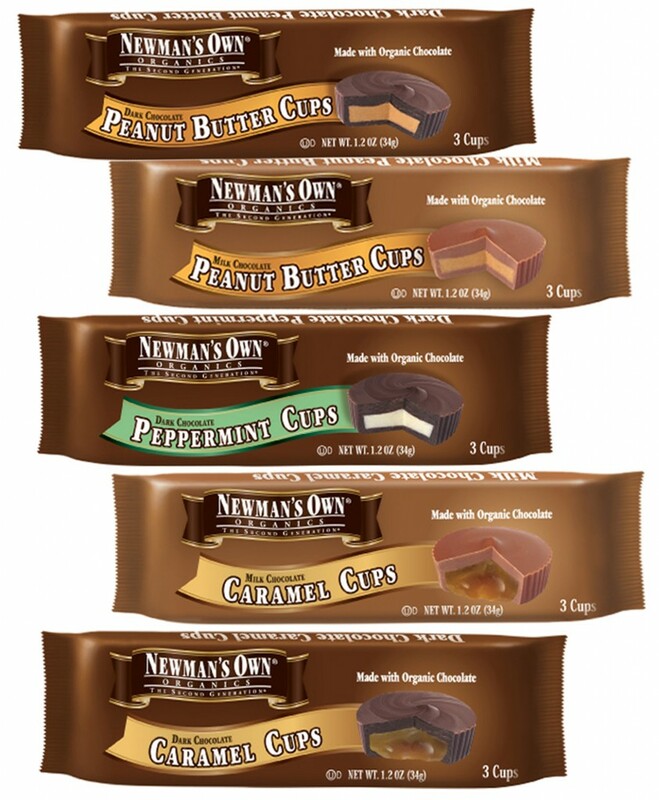 Newman’s Own Organics Chocolate Cups carry the Rainforest Alliance Certified™ Seal, and both of the Caramel Cups bear the USDA Seal. To learn more about Newman’s Own Organics, to locate a retailer near you, visit www.newmansownorganics.com. Looking for a great last-minute stocking stuffer this holiday? SIGG, the manufacturer of premium Swiss-made reusable beverage bottles, CafePress, the online source for custom printed merchandise, and Paul Frank, renowned designer of the beloved “Julius the Monkey” character have come together to bring a fun-loving twist to the world of custom water bottles. You can now personalize SIGG water bottles by choosing from a wide selection of Julius clip art and adding your own text to create a one-of-a-kind SIGG bottle at http://paulfrank.cafepress.com/. These Paul Frank SIGG bottles make the perfect gift for anyone who is green but still wants to make a fashion statement. Made from pure aluminum and 100% recyclable, SIGG is the ideal alternative to plastic bottles and does not leach any harmful chemicals such as BPA’s, alleviating the plastic waste dilemma that plagues our oceans and landfills. The durable bottles have baked on, non-porous interior lining that is taste neutral so you can have lemonade one day and water the next with no lingering taste or odor. Affordable, eco-friendly and fashionable, they make the perfect personalized stocking stuffer! Depending on size, SIGG bottles cost $26 – $30, and you can customize yours today online at http://paulfrank.cafepress.com/. 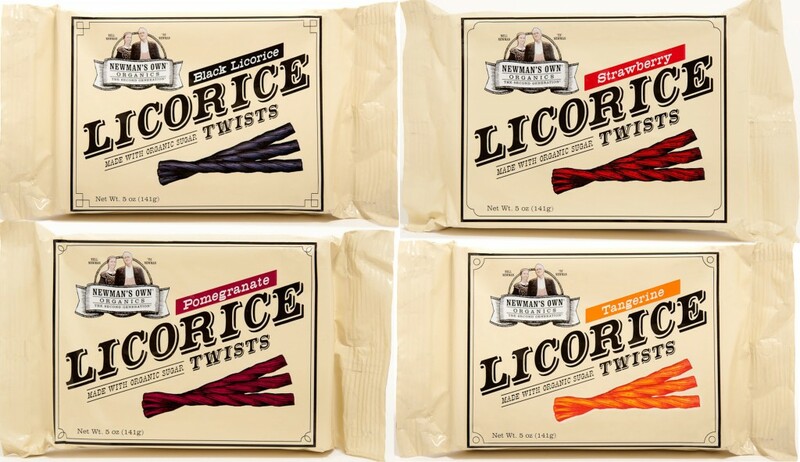 Those with a sweet tooth will appreciate Newman’s Own Organics new licorice twists, made with organic ingredients! Perfect as a stocking stuffer, these delightful twists are available in four tantalizing flavors, Black, Strawberry, Pomegranate and Tangerine. “Mom” could not believe how juicy and true-to-life Newman’s Own Organics licorice twists tasted! The three fruit twists just burst with flavor in the mouth, and are nothing like their non-organic counterparts. It will be hard for anyone to eat just one! Plus, the licorice twists are low in fat, sodium and cholesterol-free, and contain absolutely no trans-fats. This will definitely be the snack of choice this season (and beyond)! Newman’s Own Organics licorice twists cost $2.99, and are available nationwide, as well as online at www.newmansownorganics.com. 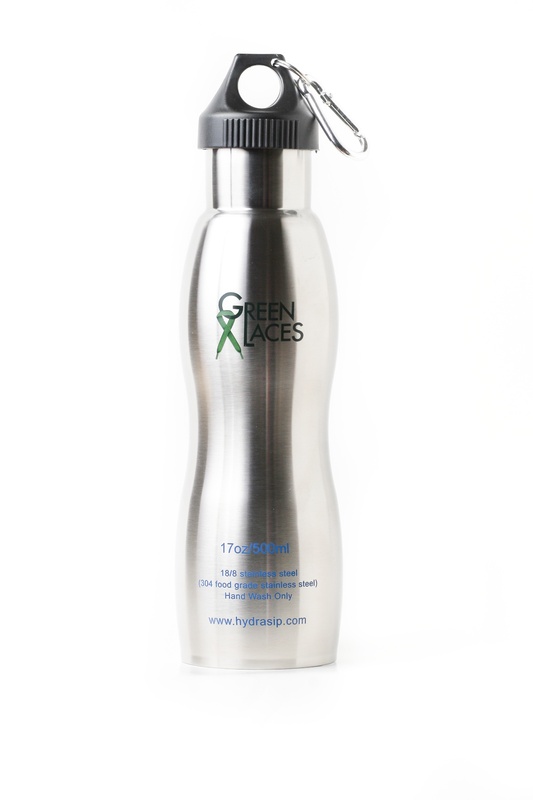 For the active gal or guy on your holiday gift list, the new GreenLaces Collection by Hydrasip, reusable, stainless steel drinking bottles, make an excellent stocking stuffer! 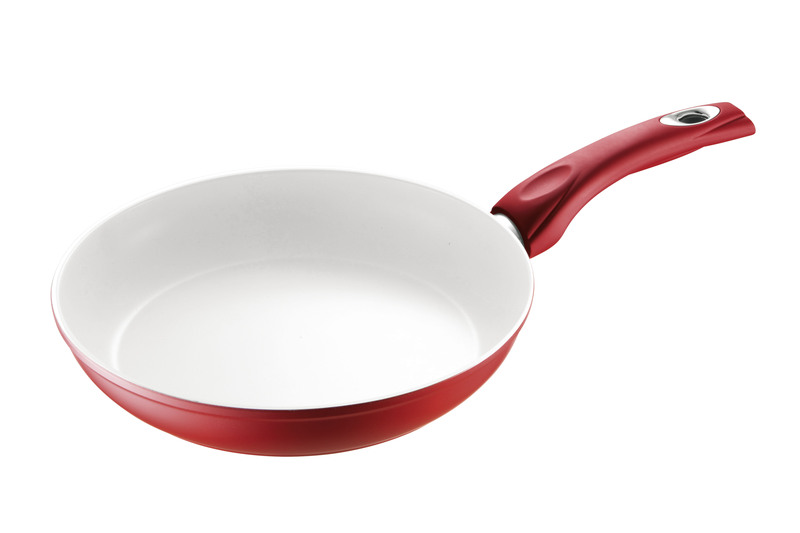 This eco-fabulous new collection are 100% (304) food grade stainless steel, extremely durable, and oh-so easy to clean! Both BPA-free and non-leaching, the bottles can be used for both hot or cold beverages, making them an excellent choice throughout the season & beyond! What “Mom” loves about the Hydrasip bottles is that not only are they recyclable, but each bottle arrives with two different caps, for your desired preference! The GreenLaces bottles are available in Classic ($16.99) and Insulated double wall ($19.99) styles and can be purchased online at www.hydrasip.com. To learn more about Hydrasip’s GreenLaces Collection or to order, visit www.hydrasip.com. 1. Make ‘em a Love List. One of my all-time favorite gifts for someone who has everything is simply a list of reasons why you love them. Say you want to make this really unique gift for your husband. All you have to do is set aside an hour of quiet time in which you can focus on him. Just sit down with some paper or at the laptop and start brainstorming what you love about your wonderful husband. Jot it all down. Think about qualities that are unique to him, things he does for you, special times you’ve shared together. Think about his quirky jokes or stories. How he always spends time helping the elderly lady next door. The way he makes up songs in the shower. How he saved the day that time in New Mexico. Tell him you love that he always answers the phone with a hearty “Hey there!” That he taught the kids how to ride their bicycles. That he can always make you giggle. Tell him you love his eyes, his intelligence, his love of puns. Tell him you love how well he treats Champie, the family’s four-legged, furry gal. Your list can have twenty things or two-hundred things. It can be written in pen on a plain white piece of paper. Or you can do a fancy design on the computer and print it out. You can add a photo or two. You can draw a picture on it. You can frame it. Use your imagination. Alternatively, you could make a list of things you’ve learned from this person or your fave memories of times with them. Same process as above. It could also be three top ten lists: what I love best about you, my favorite memories of times we’ve shared, and things I’ve learned. These lists are treasures for someone to hear. I swear to you, they are the best gift someone can receive. It is amazing to receive a gift that mirrors who you are. It is a gift to be seen. And unfortunately, people often don’t get to hear these kinds of things in their lifetime. For some reason in our culture, folks wait until funerals to express their love. Love Lists are a way to express your love and appreciation NOW! Simply Celebrate has made it really easy for you by creating a free PDF download that is a ready-made gift. 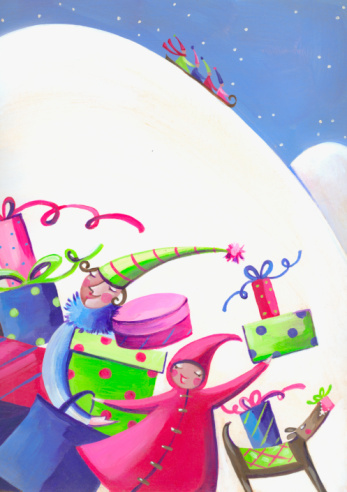 Check out the Love List at http://www.simplycelebrate.net/home.html. 2. Go for experiential, rather than material. One of the other things I always suggest for those folks who have everything is a gift that can be experienced together. Can you give a handmade certificate good for a free jazz concert at the community music center, an upcoming art festival, or a surprise adventure or beautiful hike? Does your loved one have a favorite hobby that you can join in somehow? Could you plan an afternoon at a historic location and the two of you bring your cameras to feed his love of photography? How about morning birdwatching followed by a cup of tea at a local cafe? Could you plan an art day with a child or teach your best friends how to dance? What people of any age, but especially adults, really want is quality time with people they love. Give the gift of your time and attention. Another great gift for someone is something that helps them out. Again, think about making a simple certificate you can give them which could be handmade or printed out. You could set up a new program on her computer or cook a gourmet dinner at his house. You could make a gift certificate good for babysitting the kids one Saturday night so their parents could go out on the town. If you have handyman skills and you notice she needs something replaced, you could buy all the parts and do the work. You could make a gift certificate good for “Three hours of at-your-service help around the house.” Think about this person and what kind of help they need or what kind of help would make life more fun. Find her books or sign up for Simply Celebrate’s free newsletter at www.SimplyCelebrate.net. Email Sherry to tell her your gift experiences or learn about the one-of-a-kind tribute books she makes at [email protected].